A simple fire table designed to protect ground or lawn from the effects of direct contact with fire. New version for 2019. 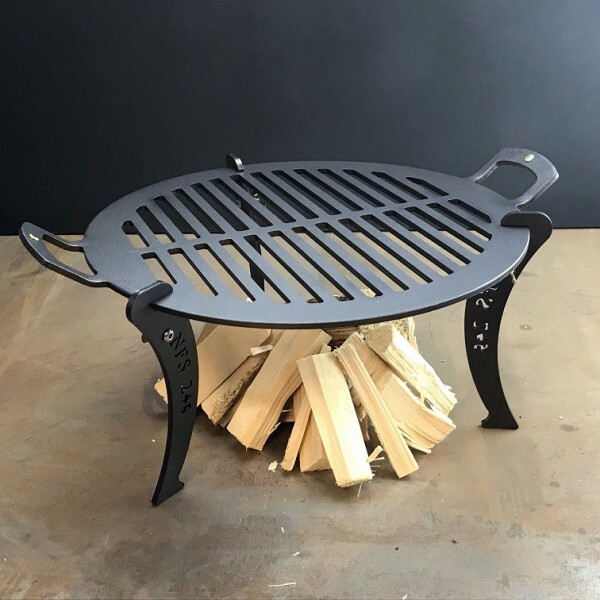 Note: The picture above shows a 15 inch Chapa griddle (not included) sitting on top of the Fire Table. 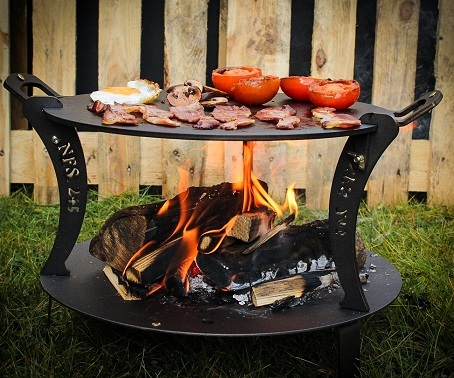 The Fire Table raises Chapa griddle 3½ inches from ground. 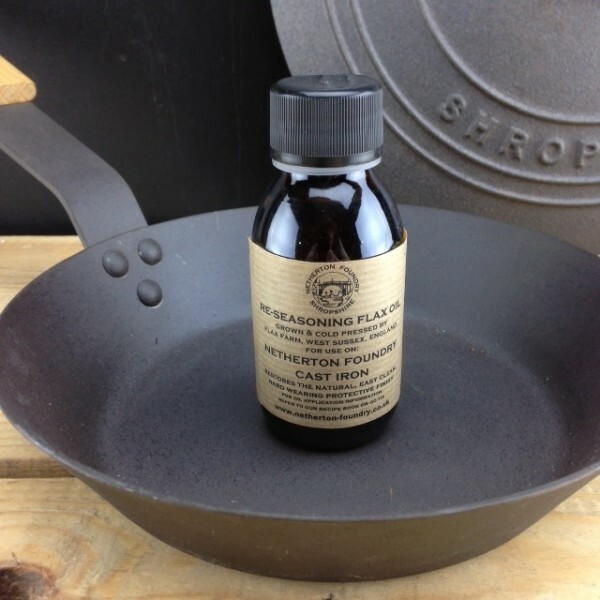 Pre-seasoned with flax oil to resist corrosion. Three removeable legs for convenient storage and transportation. Each is attached with two solid brass wingnuts. 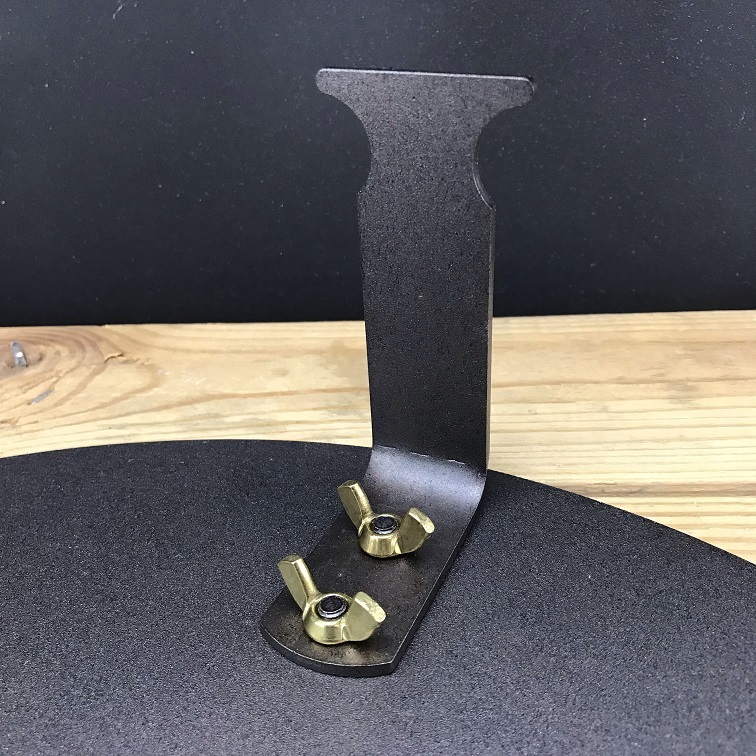 3mm thick black iron sheet construction. Brass Netherton rivet on table. Note: The left picture above shows a 15 inch chapa griddle (not included) sitting on top of the Fire Table. 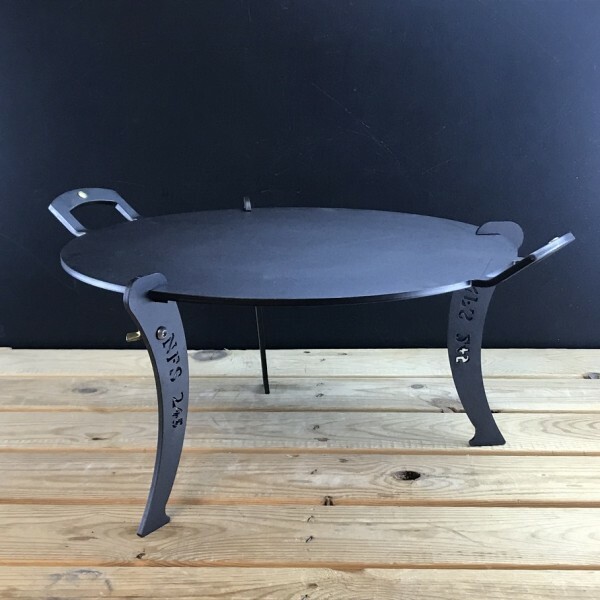 Details of the Black Iron 15 inch Chapa Griddle Plate seen on the Chapa fire table can be found here. 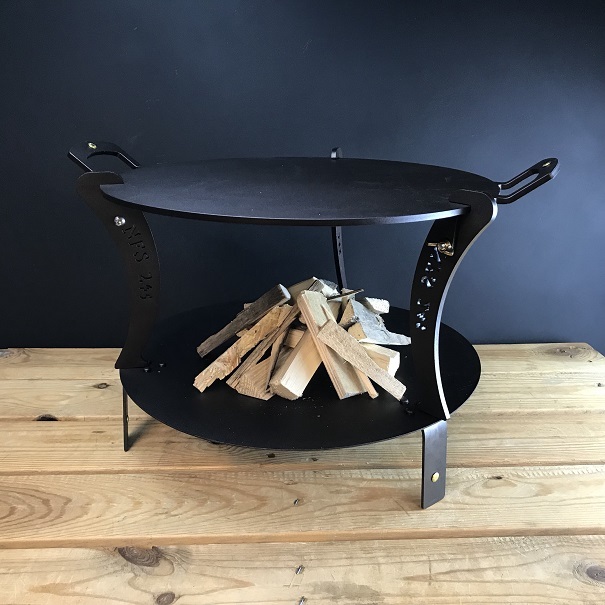 Details of the Black Iron 12 inch Chapa Griddle Plate can be found here. Weight: 2.0 kg, 15 inches diameter x 3.5 inches ( 38 cms diameter x 9 cms ). 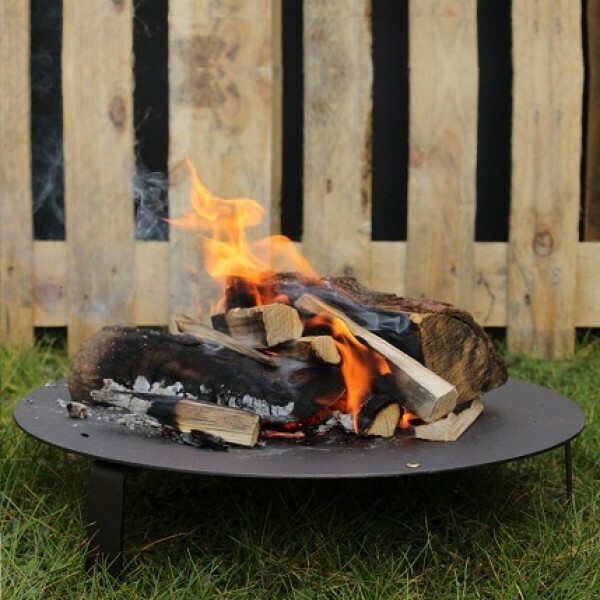 Why choose a pre- seasoned Chapa fire table ? 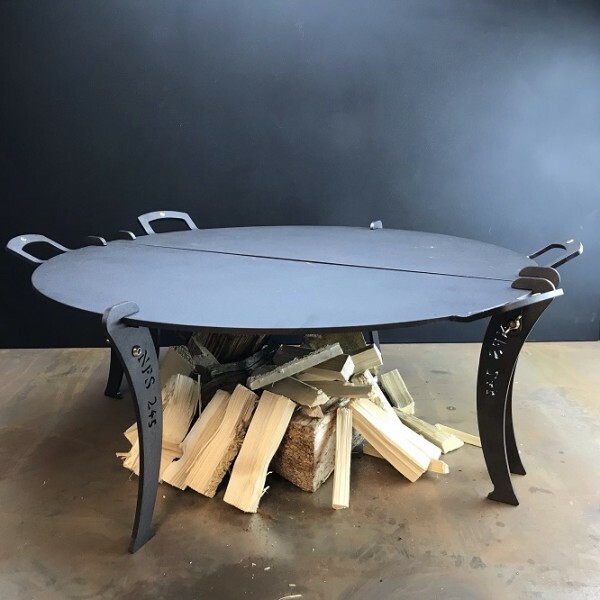 No chemicals or PTFE are used in the coating of the Chapa fire table. 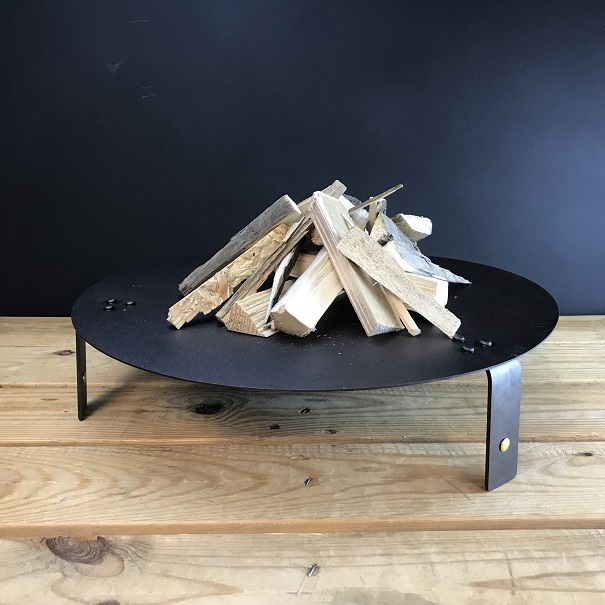 Chapa fire table can be used at very high temperatures.